Comfort and Safety… to go!. From the makers of the #1-rated KeyFit® and NextFit®, and the IIHS Best Bet KidFit®, comes the next on-the-go car safety solution for growing big kids. The GoFit™ Backless Booster is designed for big kid comfort with a contoured ErgoBoost® seat and double foam padding that provide support in all the right places. Two soft-sided cup holders easily flex and fold out of the way to save space. For parent convenience, the cup holders are easy to remove and dishwasher-safe. All fabrics are also removable and machine-washable, including the pop-out arm rest covers. Integrated lap belt guides and a shoulder belt clip make it easy to position the vehicle seatbelt for proper use. A built-in carry handle makes it easy to transfer from vehicle to vehicle, and a smooth underside helps protect vehicle seats from damage. 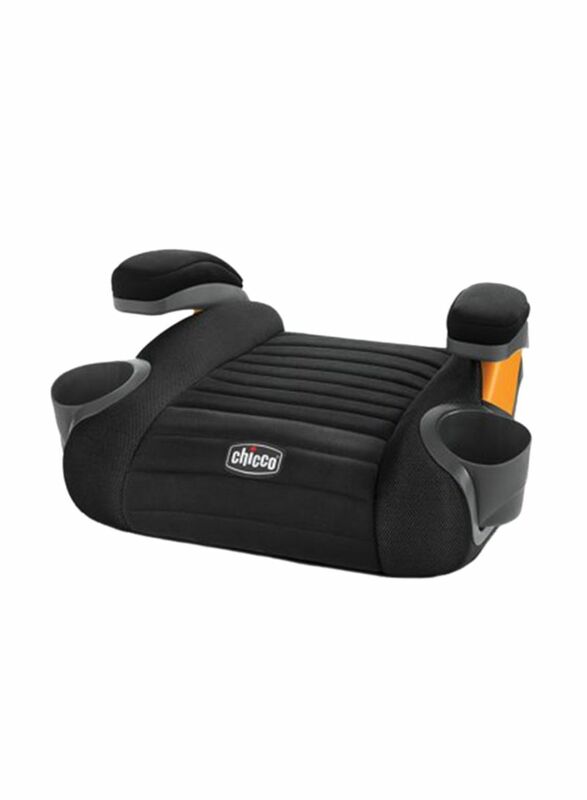 This product conforms to Federal Motor Vehicle Safety Standard 213.